You should approach your yoga practice with a positive attitude. When you first start practicing, you should set goals that are within your reach and try not to push yourself too hard. Yoga is about doing your best and learning how to accept yourself for who you are. You may want to keep a yoga journal to record your growth as you practice yoga. 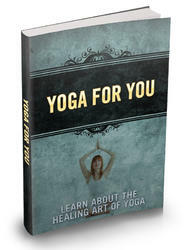 You can include items in your yoga journal such as your thoughts, feelings and physical progress.